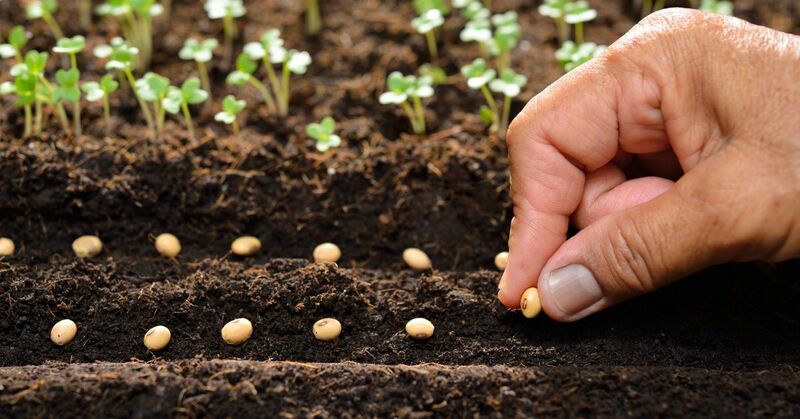 Sowing seeds directly into the outdoor soil is one of gardening’s true pleasures. The outdoors is a seed's natural habitat, which often makes planting outside the best option for getting plants off to a healthy start. Sowing directly is especially recommended for plants that don’t transplant well—carrots and radishes, for instance. Many heat-loving plants--such as cucumber, pumpkin, melons, and squash—thrive when they are sown directly. Plants that are grown outside from seed will likely harbor fewer pests. They will become stronger because they spend their entire existence in their native soil. Follow these six simple tips, and you can experience the joy and satisfaction of watching your plants and vegetables break through the soil in your backyard garden. Loosen the soil with a rake or hand fork. Get rid of all the debris that accumulated over winter, and break up any clumps of soil. Add fertilizer or compost, and rake the soil until you have a level surface. You'll find information on the best time to plant (typically when there is less than a 50% chance of frost), the depth to sow, and spacing. When you're sowing very small seeds, such as carrots, it's recommended to mix the seeds with sand to help you disperse them. With larger seeds, create a long furrow and place the seeds at the proper spacing. After you plant them, water your seeds with a gentle mist or shower. A strong spray can dislodge them. It’s essential to keep your soil consistently moist. In a sunny spot, you might need to water more than once a day. Too little moisture can keep the seeds from germinating, but too much can cause seed rot. Using stakes and string or any kind of tall stick, mark your planting areas to remind you where the seeds are buried. Fasten your seed packet to one of the markers. Not only will the packet tell you what's in the ground, but it will let you know when the seedlings should start peeking through. You should know what your seedlings will look like, or you might think they are weeds and pull them. Your seed packet might show them, or you can look online for photos. If you aren't sure, play it safe and don't remove it! Once again, check your seed packet for thinning instructions. Instead of pulling the seedlings, snip them at the soil line to prevent disturbing the roots of the remaining seedlings.